The general sentiment around Bitcoin seems to have changed since the price rally that took place earlier this month. Some famous cryptocurrency market experts are saying that BTC price bottomed out at $3,100 and predicted that it would likely test the $6,000 mark in the coming weeks. The general sentiment around Bitcoin seems to have changed since the price rally that took place earlier this month. Some well-known cryptocurrency market experts are saying that Bitcoin’s price bottomed out at $3,100 and are predicting that it would likely test the $6,000 mark in the coming weeks. The cryptocurrency market has been in a bear cycle since the start of 2018, with most cryptos losing 80 percent or more of their values since then. However, the recent price spike seems to have changed the overall sentiments as most analysts now believe that BTC is on its way to recovery. The co-founder of Fundstrat Global Advisors, Thomas Lee, told Bloomberg on April 5 that he thinks the bear cycle is over and Bitcoin is in a bullish trend again. The Bitcoin bull maintained that the fact that the cryptocurrency broke past its 200-day moving average is an indication that we are in a bull market. Lee added that there is evidence that Bitcoin whales are purchasing and HODLing more BTC after most of them sold their reserves early last year. This scenario shows that the whales think the market is getting ready for another Bull Run. Another crypto market expert, Brian Kelly, the founder, and CEO of crypto investment company BKCM told CNBC that sentiment has shifted and he expects the price of BTC to reach $6,000 very soon. Kelly said that opinions in the market have changed. All indications including fundamental, qualitative analysis, and technical indicators are suggesting that the process of bottoming is underway, he added. Kelly noted that the current Bitcoin trading pattern looks similar to those recorded in the past. He is not the only one with this view. Ran NeuNer, a crypto market expert at CNBC recently tweeted that the current mood feels precisely like the run-up to the previous bull market. The mood feels exactly like the run up to the previous bull market. Joseph Young, a popular cryptocurrency analyst, pointed out that the recent Bitcoin price surge means that the cryptocurrency is down by 75 percent from its all-time high. While Bitcoin still has a long way to recovery, Young noted that the crypto industry remains very active. Bitcoin nearing $5,300 again, it is now less than 75 percent down from its all-time high. Crypto Thies, a cryptoanalyst on Twitter, is confident that Bitcoin has strong support at $4,700 and $4,300 and could test the resistance levels at $5,500, $5,700, $6,600, and $8,400. 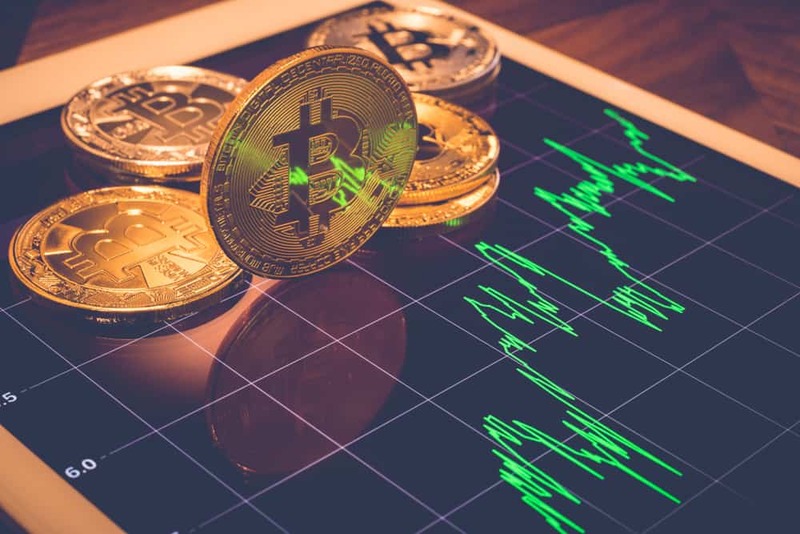 The analyst added that Bitcoin’s chart suggests a macro move to upper Bollinger Bands (BB) on two weeks could see $8,400 attained in the coming weeks. The Bitcoin price has been able to hold its position just above the $5,000 mark, and there’s optimism within the crypto community that it could test $6,000 very soon. Regulators all over the world continue to toughen their stance on crypto, and couple that with the SEC’s lack of an ETF decision and the bear market, it has been rough past 12 months for the cryptocurrency industry. However, the sector remains very active, and most crypto enthusiasts are convinced that a Bull Run is underway.